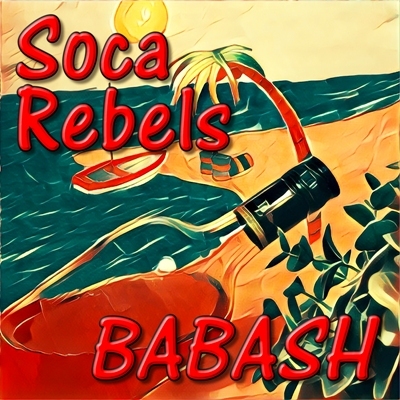 Soca Rebels proudly presents its best brew, Babash, mixing ingredients from three continents into a unique style of calypso and soca. The Swedish band Soca Rebels collaborates with long time friends in music. From Trinidad & Tobago it’s Crazy – the loveable lunatic and rapso pioneer Rapso Rebel. From Uruguay we have Ruben Behak – a trini lover with cuban roots, and from USA the drummer and steelpan player Phil Hawkins. All songs are recorded in Trinidad & Tobago, Uruguay, USA and Sweden.